Having cabin fever during the winter gives you a lot of time to catch up on small projects around the house. 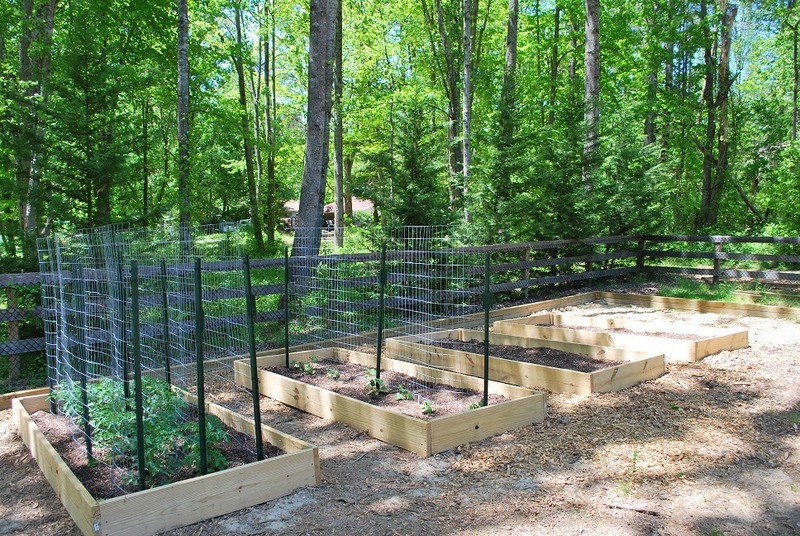 In this case, hubby and I finished building our new raised vegetable garden beds for the upcoming season. 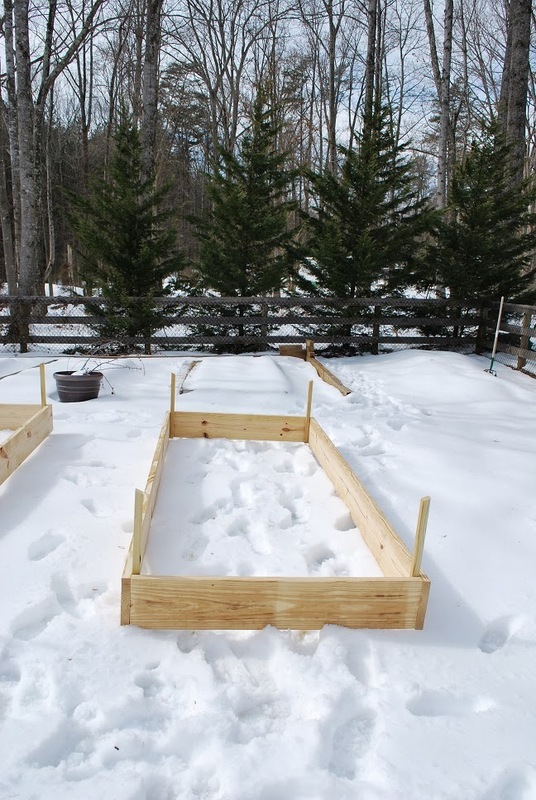 The beds are 10 feet by 4 feet, and when the snow melts we will flip them over and pound the corner stakes into the ground. 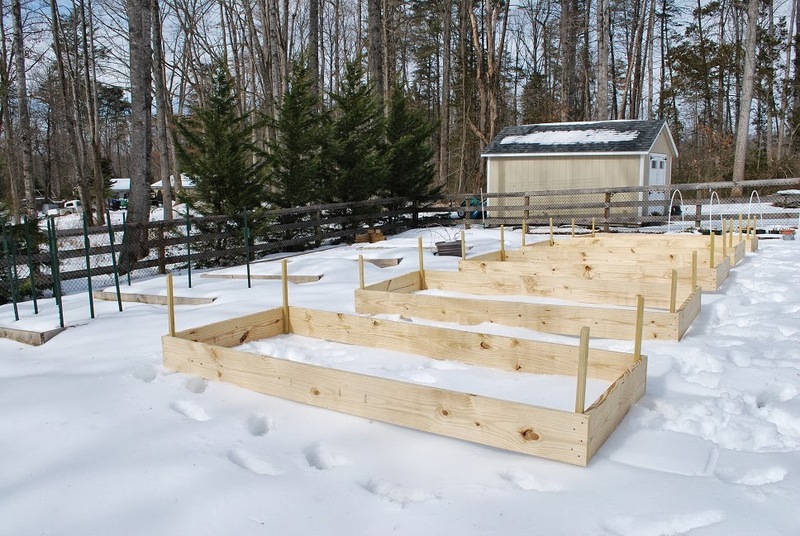 Last year, we started out with 4 raised beds and then added a fifth at the end. It was definitely a learning experience. Our cucumber crop came in like gangbusters, but our tomatoes were struck by early blight from all the wet weather last year and being planted too close together. Later, the tomato plants that survived were ransacked by squirrels. Our bush beans were wonderful, but our beets were a bust from over seeding and not enough thinning (but the beet greens were great!). We planted sweet potatoes that did so-so, mostly we think from not enough sun, and the leeks were pretty successful. And onion slips rotted due to all the wet weather. Ironically, the most challenging thing we came across from starting a raised bed garden was finding planting medium to fill them. Last year, we had to use purchased garden soil and bagged compost. This past fall, we managed to squirrel away a lot of leaves and started a second compost pile to help amend. We'll still have to purchase some bagged garden soil, but hopefully just this one time to get us started. From that point on, the beds will be amended and built up with compost, leaves, and cover crops. In addition, I have a bunch of flowers and herbs that are going to be planted as well. I'm still on the fence about a fall planting. Last year, I was more than ready to put the garden to rest at the end of the summer season, but for now c'mon spring!